One of the best ways to enjoy oysters is this way. Gratinated oysters with garlic, cream, spinach and plenty of Parmesan cheese. 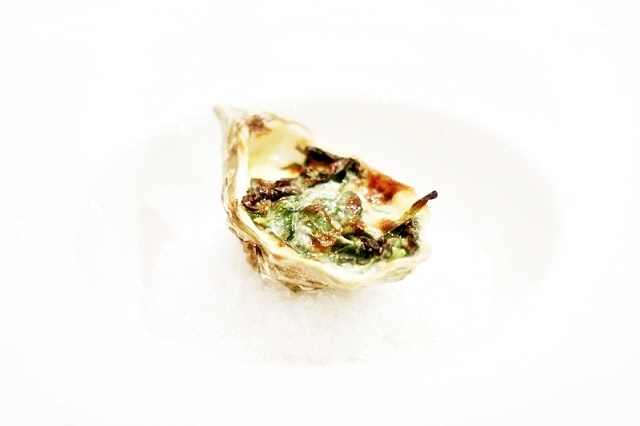 These gratinated oysters with cream, garlic, parmesan and spinach is a great way to enjoy oysters. Especially if you’re not a big fan of raw oysters. Since these are cooked you’ll get all that great seafood flavor but the texture is more like cooked mussels. 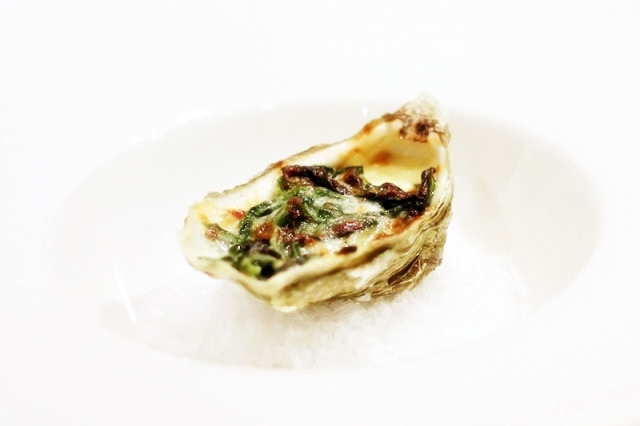 The recipe is my take on the classic Oysters Rockefeller. I never really cooked those so I’m not sure how close this is but just listen. Parmesan, cream, garlic and spinach, what could go wrong? Open the oysters and remove the top shell, pour out some of the juice of the oyster and set aside. Peel and dice the garlic cloves. Add the butter to a pan and sauté the spinach with the garlic, salt and pepper. Add the cream and leave to cook for a few seconds. Add the juice from the oysters to the sauce and add most of the parmesan cheese. You should have a thick stew of spinach and cream with a clear taste of garlic. 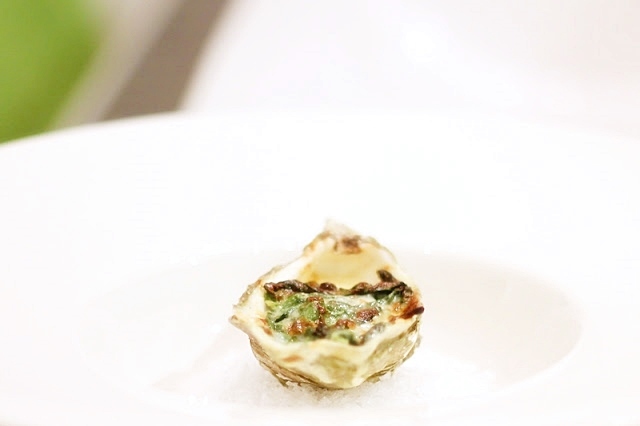 Place the oysters on a oven proof plate and add a spoonful of spinach sauce to each oyster, grate over some more parmesan for each oyster and put in a hot oven for a couple of minutes. I set my oven on grill with 175 celsius / 350 fahrenheit. It took about 5 minutes to get them fully cooked. Take out and serve varm. If you’re having trouble getting the oysters to stand flat when putting them into the oven you can use a cupcake tray as a tool. A bed of salt works good too. Good luck.